As there was a lot of websites are available which are giving opportunities to those persons who have writing skills regarding latest news, uc news is one of them. this is a very popular application which is used by about hundred millions of users so this is common that uC news application need a lot of informations and content to remain their users with them so uc news is giving a opportunity to small bloggers and Publishers to write articles and news on their application. To open a new UC news publisher account you just have to go on UC we media website, where you have to submit your email address and some little informations like name and password after this little registration you will be redirected to a webpage on which you are asked for more information like name, address, your website URL and one identity proof ( pan card ). after submitting of these informations; they will mail you about your successful registration on uc publisher account if your information are true then they will give clearing to your account and you will receive an email within next 2 days regarding your account activation. It is very easy to write new articles on UC news after registration for an publisher account just go to post section in dashboard and then click for new article you can write articles in Hindi and English languages as according to your comfort. There are not any boundation on your language type. You can add images and tags to your article which will help you to get more Views From uc news. there was not any word limit in UC news to write article but this is observed that article with 500 to 600 words will get more preference in UC news application. you can add three or more images in your article which will attract visitors on your page. As there was not any boundations regarding your writing but there was some rule and regulation regarding vulgar things if any person upload any vulgar and non reliable content on uc news then they will disable their account or they can stop monitisation. Every new publisher on UC news will be work as a basic partner with UC news after 7 days you will be promoted to a advance partner with u c news. 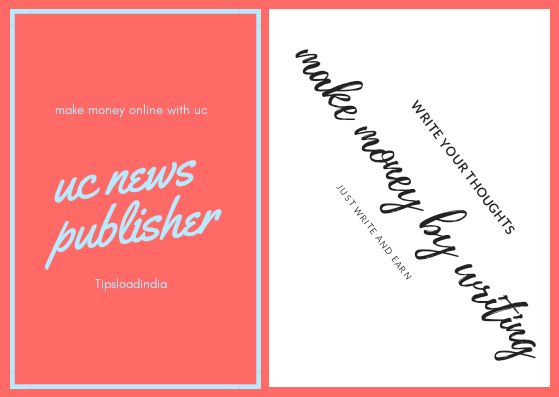 Some of the advance partners can monetize their articles with advertisements who have more than 40 index points in last 7 days. If a publisher get 40 + index points In last 7 days then he can enable his monitization for next 30 days. • write good and small articles for more recommendation and index points. • upload high quality images in each post for increase your index points. • choose reliable tags according to your topic for getting more visitors and index points. • stay connected with your visitors must reply to your visitors comment, this is the most important and easy way to increase your index points in UC news publisher account. It's very easy to withdraw your money from uc news, uc news will pay you when you get minimum 50 Dollars in your account you can withdraw your money by bank transfer every uc news publisher can withdraw their amount in their bank account within 26 to 28 every month.